You are at:Home»Grub»Day 11 and shrimp scampi it is!! Day 11 and shrimp scampi it is!! Scampi are tiny, lobster-like crustaceans with pale pink shells (also called langoustines). 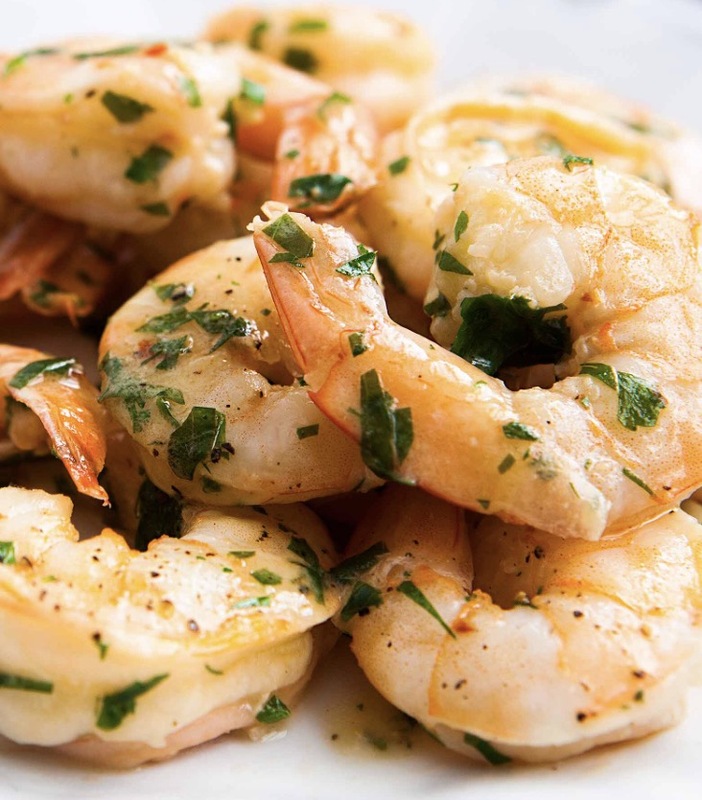 Italian cooks in the United States swapped shrimp for scampi, but kept both names. Thus the dish was born, along with inevitable variations. Heat olive oil in a large skillet over medium-high heat. Add shrimp and sauté for one minute. Add garlic and sauté for another minute. Stir in lemon juice, salt, and pepper and simmer for 30 more seconds. Add parsley and toss well to coat. Cook until shrimp are just pink in color. Do not overcook!! We’ve given you the first ten days to really focus on your diet, so you can jump-start your new relationship with food. But now is the perfect time to start thinking about other areas of your life, and how you can incorporate new healthy behaviors into your lifestyle. Don’t worry—we don’t expect you to start running marathons or enter a weightlifting competition tomorrow! We just want you to start noodling on the idea that healthy eating + moving your body works synergistically to help you achieve your health goals. When and if you choose to incorporate exercise practices into your Whole30 is entirely up to you. Try nice long walks, yoga, stretching and get moving. Stay strong!! You’re more than a 1/3 away from completing your 30Days! !